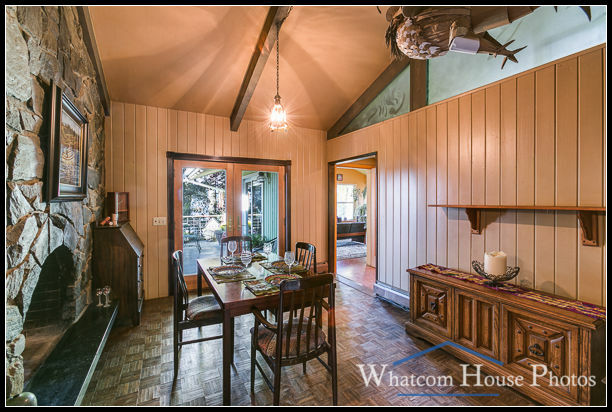 This home in a desirable neighborhood near Lake Whatcom had many very dark rooms — dark paneling, dark furniture, and lots of trees that kept the interior light level low. The trick to these darker spaces is proper exposure to bring out all the detail in the rooms. The dining room had dark paneling, a dark stone wall, and a small light fixture. 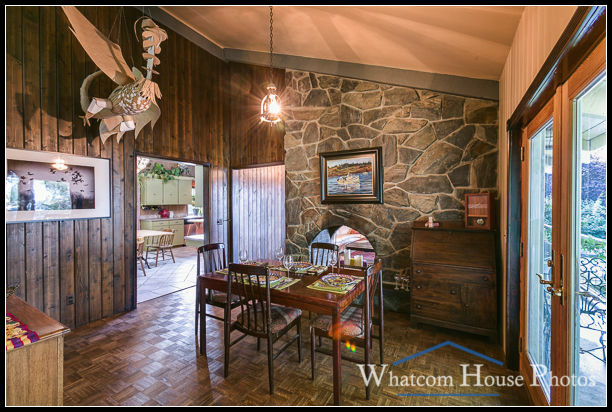 From another vantage point we can better see the fireplace in that dining room stone wall. 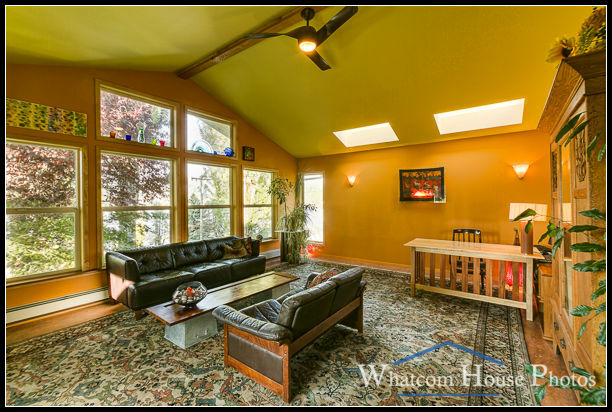 The den / home office was painted in darker colors, including the ceiling. It was important to show the colorful decorating scheme, as well as the peaceful view out the windows. When people think about home photos that look dark, they’re usually seeing the work of a photographer who doesn’t know how to control their camera to properly expose the scene. That’s often the sign of an amateur, or photos made by the real estate agent themselves. 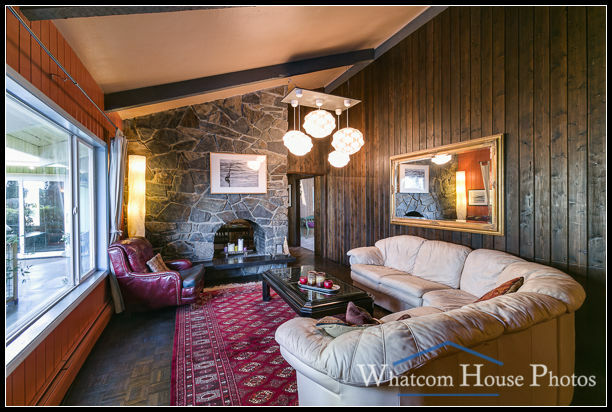 Without using a tripod and quality camera equipment it just isn’t possible to get well-exposed photos of a dark home that help make it look inviting. This home was photographed for the owner, who initially listed it FSBO (for sale by owner).